As we swing into a New Year, we’re looking forward to spreading a little more Stardust! And where better to start than the Swinging Sixties! This week we’ve added 4 new stock items to our 60s’ section. 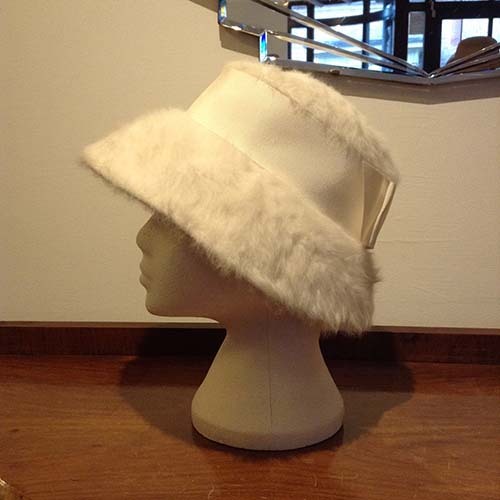 Maybe you feel like channelling your inner Audrey with this fabulous hat by Edward Mann, designer of Diana Rigg’s hats in the 1960s’ TV series, “The Avengers”! Find this beauty along with other original treasures, including Frank Usher and Peggy French Couture, by clicking on our Decade menu and select 1960s or simply click on the link below. This entry was posted in What's New and tagged Audrey, vintage 1960s by Karen. Bookmark the permalink.